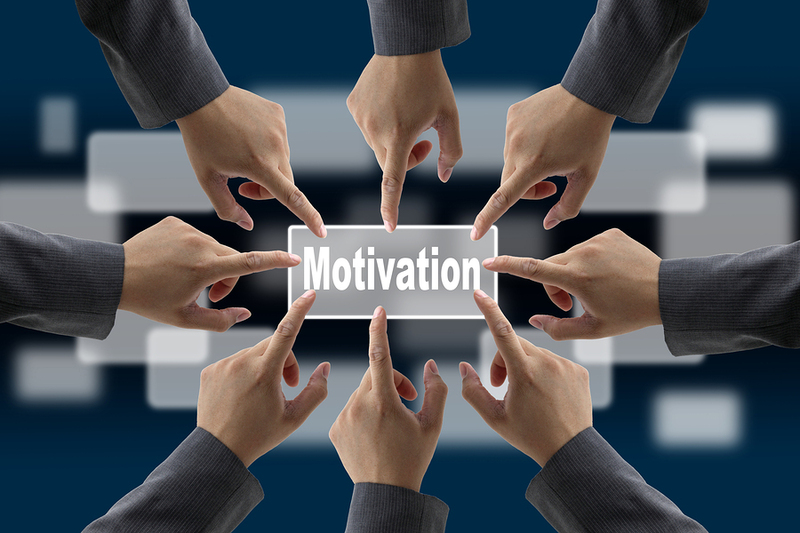 Motivation is one of the primary concerns and challenges facing today’s supervisors and managers. This article will introduce you to techniques for creating a proper motivational climate. You will also learn how to apply the techniques for motivating employees, prepare individual action plans to solve on-the-job problems, and identify causes of low morale and strategies for improving overall employee behaviors. Your staff members are the key to your success, and motivation affects employee performance that ultimately affects the departmental, divisional and organizational objectives. Only satisfied employees lead to satisfied customer. To be a successful manager/supervisor, you must first understand that you cannot motivate anyone; you can only create an environment that encourages and promotes the employees’ self-motivation. Motivation is getting people to do what you want them to do because THEY WANT to do it. The challenge is to give them a reason to want to do it because doing it will satisfy a need they have. You have to tune in to their needs, motives and reasons, not yours. Secondly, you must also know what kind of behavior you want the staff to demonstrate. In other words, what do you want the employee to do differently ? For example: Do you want your staff to be punctual, more committed to work; co-ordinate with others in a friendly manner; meet deadlines; assume more responsibilities etc. You must first be clear about your objectives and expectations before you can communicate them to your staff. The most important thing to keep in mind is that you are the most critical component in the motivation process. Your actions set the tone, trend and tempo of the process. Many managers / supervisors embrace a ‘carrot-and-the-stick’ approach to motivate their staff. These practices take the form of incentive programs, promises of promotions, rewards and bonuses. Some others employ the symbolic ‘whip or club’ by emphasizing the negative results of their behavior. For example, a manager might say: If you do not start coming to work on time, you’ll be fired ‘ or ‘You will never get ahead if you continue to make these kinds of mistakes’. All these methods are just short-term and create no permanent behavior change. Executives whose management style is dictatorial, uncommunicative and non-participative, need to revise their work style. Today’s environment requires them to be more empathic, communicative and more trusting of employees. An executive will be a ‘difference-maker’ if he can make his subordinates feel important and successful. Therefore, managers need to create a positive and caring workplace that encourages employees to become the best they can be. When staff feels good about themselves, they will perform better and be more productive. There is no quick fix solution to a behavioral problem. Changing employees’ attitude takes time and patience. You will notice that what works well for one person may not work for another one. You may have to use the ‘trial and error’ until you identify and match the right method, or a combination of methods, to the relevant employee. Can you motivate someone? The answer is NO! Motivation is some thing that comes from within the individual to prompt him to an action. Motivation is a function of individual will. We do things because the outcome is appealing to us and serves as an incentive. People are motivated by their unmet needs, and those needs differ from person to person. People’s needs are determined by their unique set of circumstances, culture, values, background, education, work experience and their personality styles. Besides, motivation is directly related to the morale of the employees; that is, attitude of the staff toward their work, department, environment, management and organization as a whole. Now go back over the same list and identify the order you think your subordinates would choose. Research proves that executives are often totally wrong in predicting how their subordinates would rank the list. What is the outcome? Simply put, if managers misinterpret what is important to their subordinates, they will choose methods of motivation that are entirely off base. For example, a manager may believe that all employees are motivated primarily by money. So, the manager gives everyone a bonus. Much to his surprise, employee performance does not improve. What the manager does not realize is that there may be some other factors that are more important to the employees. So, how do you find out what motivates your subordinates? Well, you could ask them to complete the above assessment as a start, although you may not get accurate data. The best way is to talk to your staff and really listen to them. They will let you know indirectly or sometimes even directly what is important to them. For example, if you have an employee who frequently asks you, “How am I doing? ” or “Did you like the way I handled that project?” It indicates that particular employee wants and needs recognition. At this stage, this crucial question might be vibrating in your mind: As a supervisor/manager, what is my role in the motivation process? Your responsibility in motivating the staff is to create an environment that promotes motivation within the individual. Good leadership is getting people to do what you want them to do because they want to do it. So, you must first understand employees’ needs and then show them the benefits of moving them from where they are to where you want them to be. In other words, find out the WIIFT: What’s In It For Them. Take a moment and think about the implication of these characteristics on the workplace and your responsibility to motivate. As an enterprising supervisor/manager, take a few moment and analyze your department/organization based on these two above categories. • What Motivates Your Employees? Do you know what your employees really want ? Their answers could surprise you. Talk to your staff members to find out what you think employees want and what employees really want are at opposite ends of the spectrum. Your response to this list will highlight fact that what you, as a manager or supervisor, consistently see yourself as being motivated by different factors than your subordinates. You will also feel that the best ways to motivate employees are the traditional trio of motivators: job security, financial rewards and promotion. But these traditional motivators are scarce resources for the manager/supervisor, and cannot be provided by every organization under today’s working conditions. Consequently, the majority of the employees remain unsatisfied if these are the executives’ primary means of motivation. • Use appropriate methods of reinforcement. Rewards should be tied directly to an individual’s performance. If you have determined that meeting deadlines is important, then the employee’s performance in rendering that service should be rewarded; e.g., the employee who goes an extra mile to complete the project should be acknowledged and rewarded accordingly. However, keep this fact in mind that reinforcement is personal. What reinforces one person may not at all reinforce another one. It is also important to dispense reinforcement as soon as possible after the desired performance. Think of a recent incident when one of your employees went above and beyond the call of duty. Did you reward him in some way? If not, what could you have done to reinforce the behavior you want repeated? • Provide the staff with flexibility and choice. Whenever possible, give employees a chance to make decisions, particularly when they affect them in some way. Choice and the personal commitment that results are essential to motivation. People who are not given the opportunity to choose for themselves tend to become passive and lethargic. For example, if you are thinking of rotating the employees’ work, give them the parameters and then allow them to rotate themselves. – Is the goal specific? Write the goal so that anyone would be able to identify exactly what you are going to accomplish. – Is it specific and measurable? Identify the deliverable. – Is it agreed upon? All those involved must agree. In most cases, this means the manager and the employee who make it happen. – Is the goal realistic? Make sure that you have all the appropriate resources (that is, time, skill, equipment, environment, money) to successfully reach the goal. – Is it time-bound? Set deadlines, interim reviews, and target completion dates. Think of an employee you would like to involve in the goal-setting process. Then outline how you are going to approach him. What will you say to communicate the reasons you are asking the employee to set his own goals? Are there any guidelines or parameters he should consider? • Demonstrate to the employees how their tasks relate to personal and organizational goals. Routine work can result in passivity and boredom unless employees are aware of how the routine tasks contribute to their own development and the success of the organization. Point out how their task fits into the big picture. A few extra minutes can increase productivity tremendously. Think about a task one of your employees does routinely. Outline a plan to explain how this task ties into organizational goals. • Design tasks and environments to be consistent with the employee’s needs. What may satisfy one employee may not satisfy another. The observant supervisor/manager is well aware of the basic needs of the employee such as affiliation, approval and achievement. Refer back to the list of motivators. Select two employees and try to determine what motivates each of them. Then identify what you can do to meet each person’s individual needs. • Clarify your expectations and make sure that employees understand them. Regardless of the size of your organization, you should have a job description for every position, clearly outlining qualifications and responsibilities. Also identify the expected standards of performance. For example, if you expect the secretary to answer the phone call within three rings, say so. Employees are not mind-readers. You cannot assume that just because they have experience in doing the job, they know what you specifically expect of them in that position. Identify a position in your department/organization and write a job description for it. If you already have written job descriptions, choose one and review it to make sure it is clear and includes specific standards of performance. • Have a flexible management style. Many supervisors/managers pride themselves on treating everyone the same. This misconception can be dangerous. Employees are individuals with individual needs. You need to treat everyone fairly but not necessarily the same. A flexible management style also means that you vary your approach not only to the individual but also to the situation. An employee who is new to the job will need more guidance than a five-year senior. However, if the senior employee is given a new task or responsibility, that person may need additional guidance in that particular situation. How would you characterize your supervisory/managerial style? Do you use the same approach in every situation? Think about situations or employees that would need you to modify your style accordingly. • Provide an immediate feedback that will help staff improve their performance in the future. Feedback is most effective when it follows performance. Feedback should be relevant to the task and should indicate to employees how they might improve their performance. Never give negative feedback without providing an informational feedback. Keep in mind that feedback should be both positive and negative. Employees often complain that the only time they receive feedback is when they do something wrong. Notice people doing something right and tell them about it. The feedback also must be specific. Just telling staff that they are doing a good job and ‘keep up the good work’ is of not much help. It is much more effective and meaningful to say something like: Ahmed, I appreciate the way you handled that challenging project. You really showed a great deal of professionalism by meeting the deadline’. Identify a recent event in which an staff member did something outstanding. What, if anything, did you say about the employee’s performance? Would you say it differently now? • Identify and help eliminate barriers to individual achievement. Some staff members who are labeled ‘failures or incompetent’ are simply being hindered by relatively minor obstacles that their managers or supervisors have not recognized. It may lead the employee to accept the failure label as a fact. Does the employee have the knowledge and skills to do the job? If not, it is your responsibility to provide him with the required training. Does the person have the appropriate tools or technology? If not, get it. Make sure employees have the training, information, tools and right equipments to do the job. Identify an employee who does not seem to be as motivated as you would like. Ask yourself if there is a barrier that perhaps you have not previously considered. Then plan how you might check out your strategy. • Exhibit confidence in employees. There is a great deal of research to support the contention that people who are expected to achieve will do so more frequently than others. Saying to the employees: ‘I know this new procedure may be uncomfortable and may be even difficult for you at first, but I know you will be able to make the adjustment’ is more effective than ‘Give it a try. If you cannot handle it, we will see what we can do about it’. The latter statement has conveyed the subtle message that you expect the person to fail. The concept of ‘self-fulfilling prophecy’ is very powerful. Managers or supervisors who are positive create high performance expectations. They encourage employees to ask more questions; allow more time to do a job correctly and give their employees the benefit of the doubt. Identify the possible ways in which you can demonstrate confidence in your employees. • Establish a climate of trust and open communication. Productivity is highest in organizations that encourage openness and trust. Trust and openness are created by the way we communicate. Do you use phrases that build people and get things started or ones that destroy ideas and discourage creative thinking ? Review the following list. Which ones do you use more frequently? • A great idea, but I am sure it won’t work. • We don’t have the time for these suggestions. • We’ve tried that before; it did not work well. • It all looks fine on paper, but can you put it in practice? • We’ve too many projects now; let’s discuss it at some other time. • That would be interesting to try; I’m glad you brought that up. • Job well done; keep it up ! You’re on the right track. • That’s the first time I’ve had anyone think of that. • I have full confidence in you, and I appreciate what you’ve done. • I’m sure, you can do it! • I’m very pleased with what you’ve done. • Go ahead, try it. I can always depend on you. Can you think of some other statements to add to this list? If you find yourself using any of these ‘killer phrases’, then reword them to be more encouraging and positive. Be careful not to give the mixed messages. Employees receive mixed messages when the verbal and nonverbal actions are not communicating the same message. The manager who says ‘Carry on; I’m listening to you’ and continues to look through papers on his desk is communicating that he really is not interested in what the employee says. • Listen to and deal effectively with employees’ complaints. It is very important to handle problems and complaints before they go out of proportion. In addition, employees feel more significant when their complaints are taken seriously. Conversely, nothing hurts as much as when others view a personally significant problem as unimportant. By telling an employee ‘It is not a big deal’ or ‘You shouldn’t feel that way’ devalues the staff. You may not think it is important, but it is to the employee. Acknowledge the complaint and its validity then solicit the employee’s input in resolving it. Think about a recent employee complaint that you regarded as trivial. How did you respond to the employee? Is there anything you should have done or said differently? • Point out improvement in performance, no matter how small. This is particularly important when employees are beginning work on a new project. Frequent encouragement is very effective in improving the staff performance; however, it should be reduced as the employees become more confident and proficient. Identify an employee whose performance needs to be improved. Identify how you are going to communicate the desired change, how you are going to monitor the performance, and what you are going to say to offer encouragement. • Demonstrate your own motivation through behavior and attitude. Nothing turns employees off faster than a manager/supervisor who himself does not practice what he preaches. Actions speak louder than words; be a role model. If you expect staff to be on time, then you must make sure you are on time, too. If you expect employees to treat customers with courtesy and respect, you should treat the employees the same way. If you expect employees to get additional training to upgrade their knowledge and skills, you should also attend seminars and courses to fine-tune your management skills as well. Think about any areas where you might not be modeling the appropriate behavior. What can you do differently? • Criticize performance, not personality; judge behavior, not the staff. An individual can do a task poorly and still be a valuable employee. Always remember to respect the staff. What goes around, comes around. Love begets love, and respect wins respect. A great manager shows his greatness when he talks to a little employee. Too many employees are inappropriately labeled lazy, inefficient, incompetent, useless or unqualified. Be sure to address behavior and not attitude. Managers often have difficulty distinguishing between attitude and behavior. Take, for example, the following statement: ‘Ahmed doesn’t take his work seriously.’ Is that an attitude or behavior statement? The answer is attitude. An attitude is a conclusion that identifies a feeling or emotion about an observed situation. A behavior, on the other hand, is something that can be observed. To state the above example in terms of behavior, you might say: ‘ Ahmed’s reports contain errors that require rewriting. He overlooks deadlines that affect the delivery of our quarterly project reviews.’ How might you rewrite the following statements ? – She is incompetent in filing. Should You Get An Online MBA Degree? The Best HR Practices That Successful Companies Practice! The Hows And Whys Of Employee Satisfaction Mapping! Thanks alot for such a wonderful article! I was organising a simple training for the Supervisors about motivating staff. I took some time researching but all the information i was getting was full of theories i knew would be of little help to these staff. Then I came across your website! Some one had actually done all the research for me and compiled it! All I can say is that I just discovered a very important website! I am going to direct my friends to this site and I know they will be impressed. These are very practical suggestions I can use. This is indeed informative and practical and quite useful for any supervisor or manager. Thank you. This is quite deep, informative and practical. It will be very useful to any supervisor and manager. It is a job well done. Thank you. I am a student pursuing MBA from I.M.D. New Delhi Ph No…011-26383188,have taken help of your article to prepare a project report about “how to motivate employee to get back them in good work”. thank u very much for this elaborative information. Abhijit…….. These are really very precious tips to motivate staff. I applied and get fruitful results. This is just a great post. In these hard times one has to motivate your staff and keep spirits up, as people are worried about job security, what with the recession, many are very worried as they have had friends and family that have been laid off. Keeping them going and reassured will help with this. your article is just good, it helped me to complete my assignments as it provided practical examples and thanks a lot for that site as its informative. excellent. I will follow this. I am an executive coach trying to develop authentic leadership skills in my clients. The development plan for a specific client called for him to support, involve and motivate his staff. While I have coached many clients in the past on this subject, your article gave me some new practical ideas. very good advice. i manage a cafe and i have 4 staff. i have been doing my job 1 and half years and only just realised what my job is actually doing….lol after reading this article. This is a very very informative post. Great job! It's really important for managers or employers to know how to motivate their people. Managers nowadays are too busy focusing on their own performances and tends to forget that he/she has a team to take care of. Employees need to be taken care of and supported not to pamper them but to motivate them to deliver and perform well. They have to feel that their efforts are needed not because they could bring in money to the company but are needed to make the business and their career a success. Most companies blame or worse, fire dysfunctional employees because of poor performance. Why not try to find out the reason first. Maybe they're not the ones who needs improvement. PS: I'd like to share with you and your readers a very helpful article on motivation http://sn.im/xsvt0. This is just what I was looking for. I have a few employees and they are not very motivated. I will try some of the advice above to help get them more motivated. I should definitely point out the improvements to them more often. What if the person has the tools, the knowledge to do the job, and still screws the company for 6 million (affecting his and his collegues salaries)? Great information, I am going to use it to make a good start at a new job. I just want to appreciate you for your educative article on motivating your staff,it can be applicable in other aera and you will achieve a desired goals.thanks so much. This great and helpful, but i need more help, i want to do a research on staff motivation, can you be of help in any way? This is very educative and practical. it is really beautiful. This article is just good. I used it and was a helpful tool in that it helped me to complete my course work as it provided practical examples and thanks a lot for that site as its informative. its really good information what you gave to us thank you once again its very use full thing…. This is an excellent article which packs several in Leadership Development courses worth of wisdom. Great Job. Made it very simple and most practical. Thank you. Great resource, on how to motivate or staff…. here is my question, for what purposes, and how can you motivate your supervisor?? Sir you have really touched and helped many young managers to understand and work greatly more grise to your elbow sir. Very informative article. Surely a great help for managers out there! Thanks for the article. It is indeed practical and we are already utilising it as bench mark for our departmental activities. A gilt-edged article: the author has achieved great success in writing succinctly and yet covering all the bases. Anyone reading this will instantly benefit from the masses of research and information that has been neatly and effectively woven in – could save years of trial, error and reading. Highly recommended and well done Hasan!